She cuts 10 ～20 customers on average in a day. The time is limited. It is a hard work. She has 3 pairs of Naruto scissors. 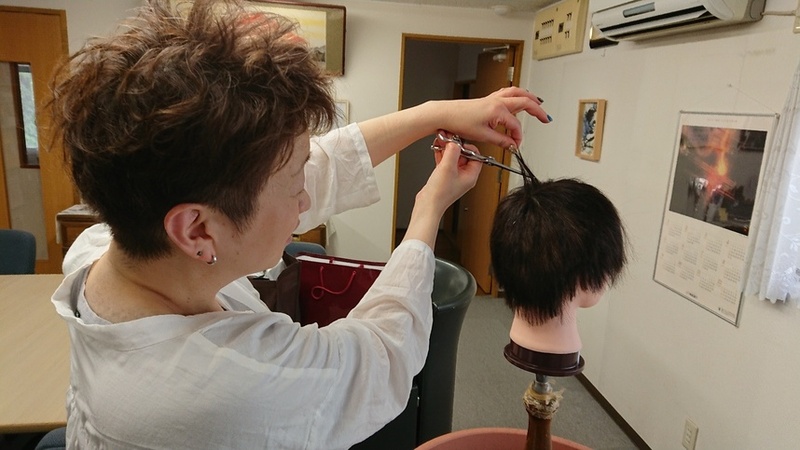 She told us that her hand never got tired and she could cut exactly where she wanted when she is using Naruto scissors, and so she could work fast. She was surprised and ask the customer the reason. "I used to be a barber, that is why I can judge the scisdors while I am having my hair cut." She bought our time-saving thinning "YOSUKI SHARELINE" for her and her customers. 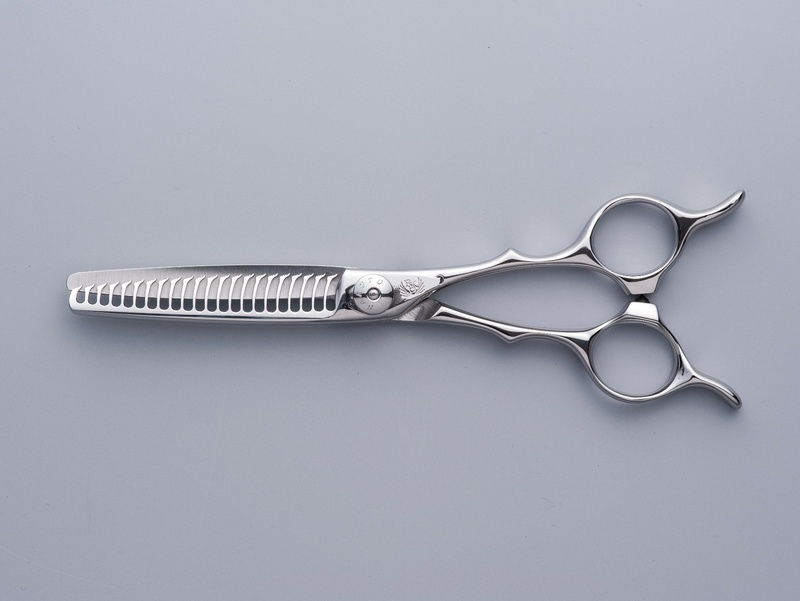 May these scissors bring happiness to her and her customers!